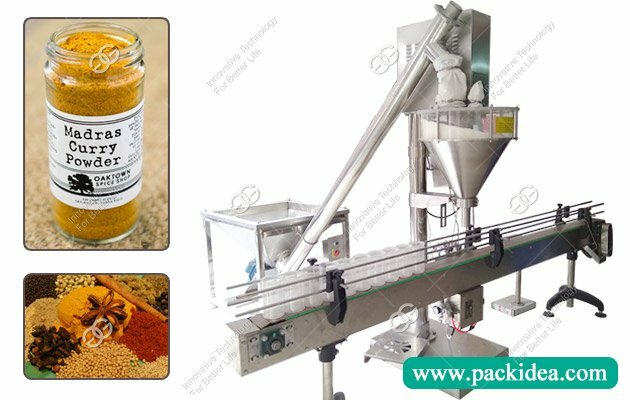 Application: Suitable for packing peanut butter, sesame tahini, fruit jam, honey, almond butter, tomato paste, etc.. 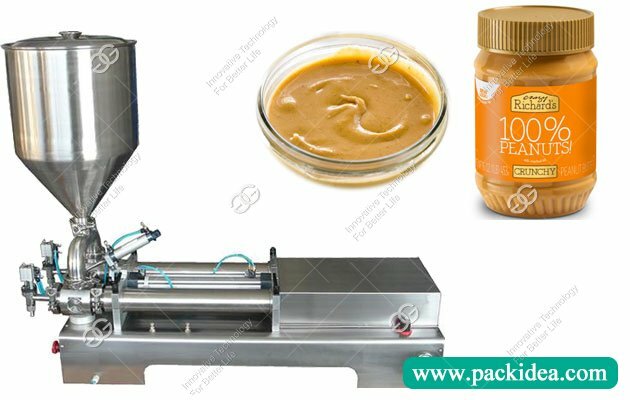 The manual peanut butter filling machine is widely used in packing miso soup, bbq sauce, chili sauce, Plasmagel, grease, suitable for food, cosmetics, medicine, chemical industry and beverage, etc. The contact parts with material are made of all-stainless steel. The high viscosity piston filler is easy to clean, accurate measuring and easy to measure. It is widely used in small businesses and individual users. 1. The filling valve is controlled by a pneumatic valve, the three-way principle of a piston and a rotary valve is driven by a cylinder to extract and output a high-concentration sauce material, filling accuracy is higher, the filling head adopts anti-drawing and lifting filling device. 2. 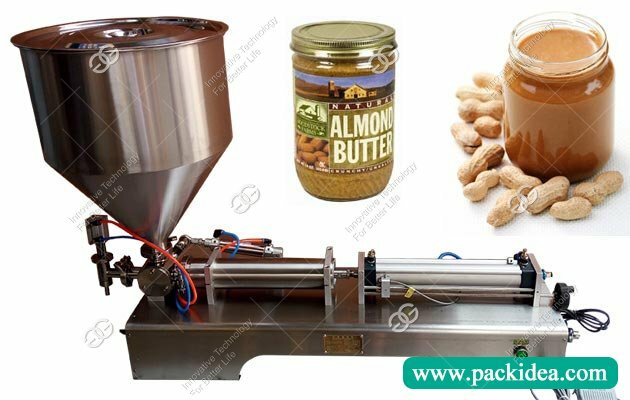 The manual peanut butter filling machine is reasonable in design, small in size, easy to operate and easy to move. 3. The material contact parts are made of 316L stainless steel material, which meets GMP requirements. 4. Filling volume and filling speed can be adjusted arbitrarily, and the filling accuracy is high. 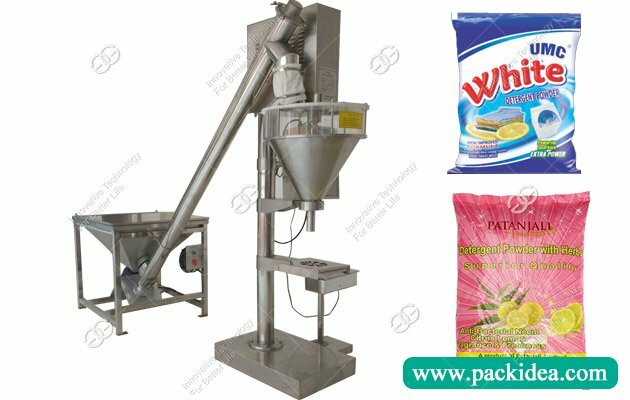 Manual, semi-automatic selector switch, mainly set for debugging or metering, when the new manual peanut butter filling machine debugging or replacement materials, filling volume change, equipment cleaning, manual debugging is recommended. When the commissioning is finished and the product filling quantity is normal, the semi-automatic mode is selected to work. Manual and semi - automatic can be switched at will, do not need to shut down. 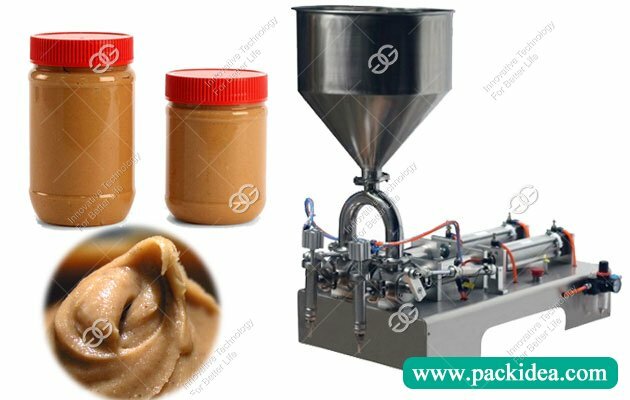 This high viscosity piston filler is redesigned by our company on the basis of similar products at home and abroad, and added some additional functions, the manual peanut butter filling machine in the use of operation, precision error, filling volume adjustment, equipment cleaning, maintenance and other aspects are more simple. If you have any other requirements for the construction of the machine, please let us know and we can customize it according to your requirements. 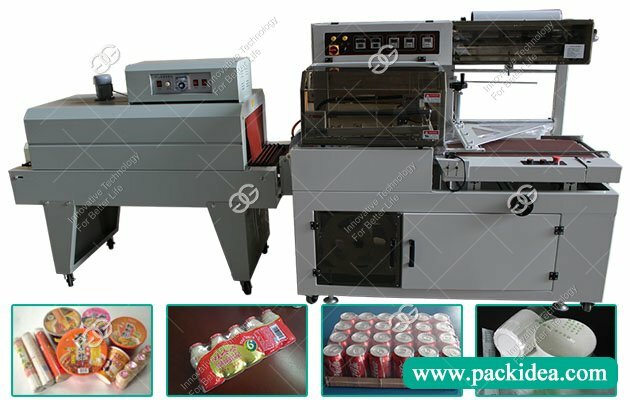 We are factory, all machines are made by ourselves and we can provide customize service according to your requirement. Generally it is 5-10 days if the machines are in stock. 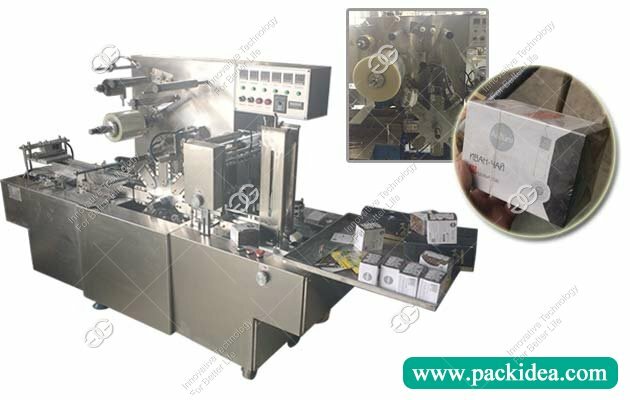 or it is 15-20 days if the machines are not in stock, it is according to quantity. Our warranty is 1 year, all machine parts can be replaced for free within 1 year if broken(not including man made).